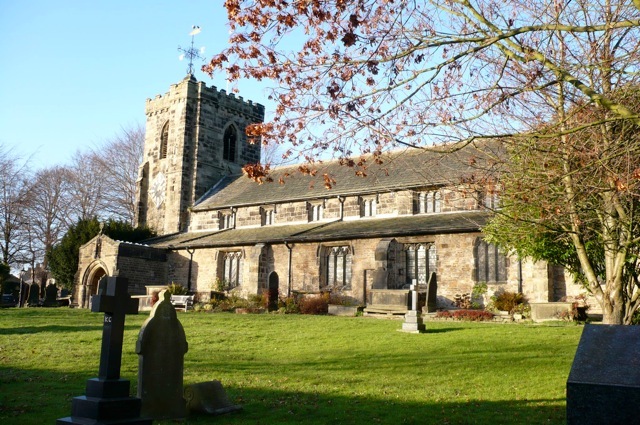 It gave me great pleasure to welcome members of the Brontë Society to St Andrew’s, Kildwick – a church I have been connected with since childhood. I wish to thank, most sincerely, fellow members of the Society for the many very generous donations which were left in the church or have been forwarded on to me later. Each one is very gratefully received and will be put towards the upkeep of this Grade 1 listed building. If anyone is in the area again please get in touch. The Parsonage will be opening its doors for a series of very special ‘behind the scenes’ tours on Wednesday 22 June and Tuesday 26 July, 7.00pm. Each evening will include a guided tour of the museum, a visit to the museum’s Library and a special opportunity to see some of the treasures of the museum’s collection at close quarters and new acquisitions. Wine and canapés will also be served. The museum is not able to offer guided tours during normal opening hours due to limited space, and its Library, which was part of a Victorian extension added on to the Brontë house in the 1870s, is usually open only by special appointment for research purposes. 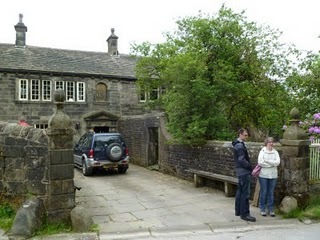 The Parsonage Museum, which houses the world’s largest collection of Brontë manuscripts, letters and artefacts, is able to display only around ten percent of its collections and the special tours will provide an opportunity for people to see some of the rarely seen treasures of the collection. There will also be the chance to find out more about the history of the Museum’s collection and how it is cared for and to see some of the most recent acquisitions. Bookings will be taken on a first come, first served basis and can be made for Wednesday 22 June or Tuesday 26 July, 7.00pm. Tickets are £16 each. There is the opportunity to meet other members. 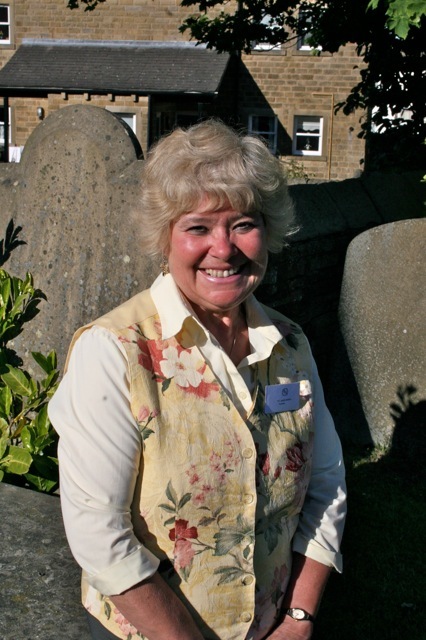 They come from all over the world but the Society’s heart is in Haworth and the Parsonage Museum. Members include local people with a stock of anecdotes from their years in one of Britain’s oldest literary society as well as encyclopaedic knowledge of every place in Yorkshire ever visited by a Brontë or used in one of their novels (over the weekend we had a private viewing of Ponden Hall, supposedly the model for Wuthering Heights, and a visit to Gawthorpe Hall whose owner introduced Charlotte Brontë to Mrs Gaskell). Some of these Yorkshire members even have links to families who were associated with the Brontës. Thus they form a living link stretching right back to the Brontës themselves. We also had lots of fun around the usual dinner at the Old White Lion on Sunday evening - pitting our Brontë brains against everyone else while trying to find the correct answers to Judith Bland’s 60 questions out of the Brontë books and lives. Our annual excursion this year focused on places associated with two very different periods in Charlotte’s life. In the morning we travelled to Lothersdale where, in the summer of 1839, Charlotte was a governess with the Sidgwick family of Stonegappe. 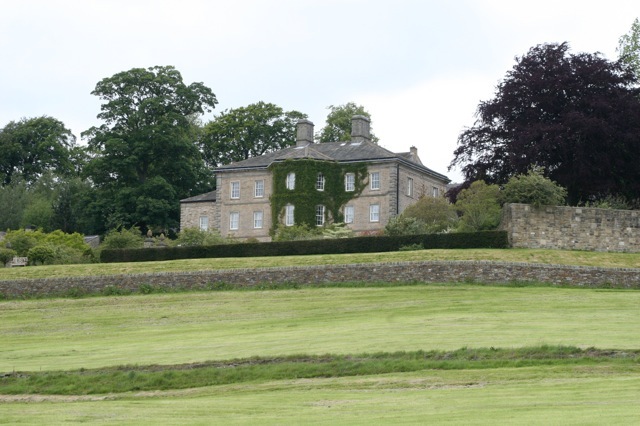 The house is not accessible and almost impossible to see from the road (the photograph below was taken from a public footpath), but we were able to appreciate its exceptionally beautiful setting which is probably little changed since the nineteenth century. 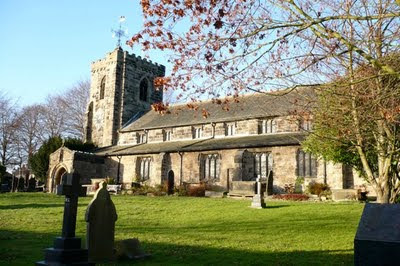 Christ Church, Lothersdale, built in an attempt to counteract the influence of Methodism, was consecrated late in 1838. 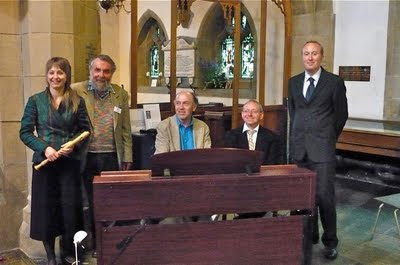 Although it was funded by the Sidgwicks, they attended Kildwick Church, and Charlotte would have accompanied them there. In the church at Kildwick, we were welcomed by Isobel Stirk and the ladies of the parish who provided tea, coffee and biscuits. 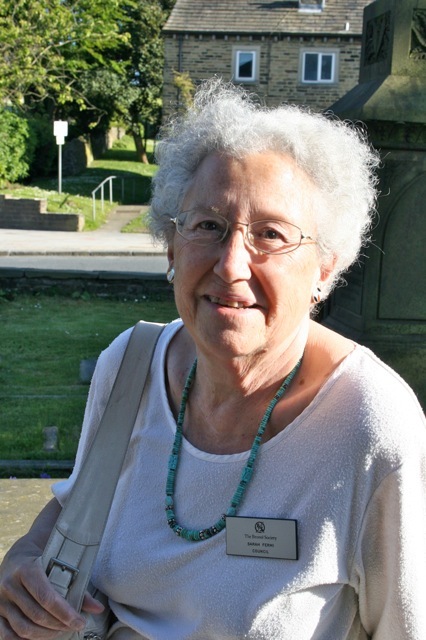 Isobel gave a short talk which dealt comprehensively with the history of the church, which was known as 'Lang Kirk', and she was followed by Angela Crow and Richard Wilcocks. Angela read extracts from the letters Charlotte wrote during her employment with the Sidgwicks, alternating with a monologue written by Richard and performed by him in role as John Benson Sidgwick. Drawing on original sources and research into the attitudes of the time, this was a cleverly constructed ‘recollection’ of a rather unsatisfactory governess. We had plenty of time to explore the church and its surroundings, and were treated to a most sumptuous and memorable buffet lunch by the parish ladies. While we were eating, Michael Murphy, former organist at Kildwick, played music associated with the Brontës which included pieces by the Irish composer John Field, the originator of the piano nocturne. The second half of the day’s programme consisted of a tour of Gawthorpe Hall near Burnley, the former home of Sir James Kay-Shuttleworth. Sir James, something of a self-made man, collected celebrities. 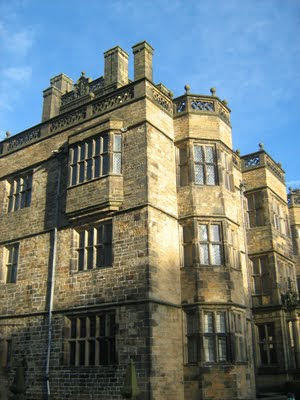 Although Charlotte disliked him, and was quite scathing about his wife, Lady Janet, she was manoeuvred into visiting Gawthorpe Hall in the spring of 1850, and again in January, 1855 with her husband. The house was subjected to major renovations by Sir James but, with a few exceptions, it is much as Charlotte knew it. We were conducted around the house in three parties, and were also able to have a glimpse of the impressive textile exhibition mounted by Bolton Progressive Threads. The weather was kinder to us than we might have expected, the day finishing in sunshine. Charlotte may have disliked her time at Lothersdale, and may have found her visits to Gawthorpe Hall a trial, but we enjoyed ourselves very much and were greatly appreciative of all the people who went to so much trouble to make our day memorable. 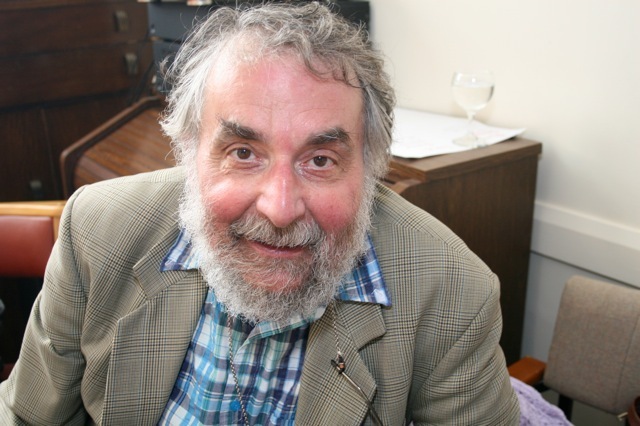 The encyclopedic and extraordinarily entertaining Ian Dewhirst MBE gave the Saturday morning talk. He is far from being a romantic, and keen on facts, most of them the product of his own extensive research at a local level. 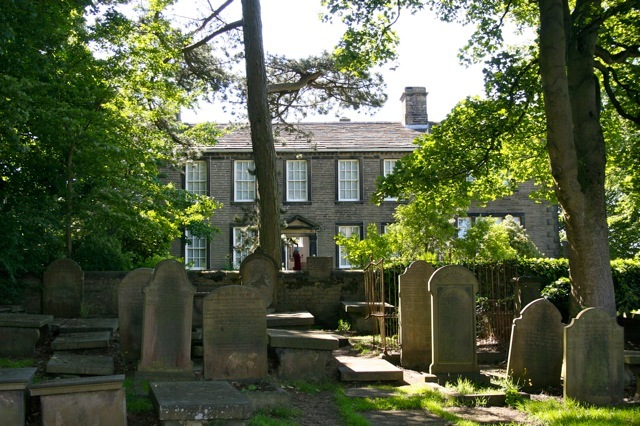 Equipped with a well-thumbed collection of notes and extracts, he put the Brontës in the context of a Haworth which was often malodorous, where many were poverty-stricken in a way which is often nowadays linked to 'the developing world' and where people usually died long before before their three score years and ten arrived. Children were lucky to reach the age of five. The doctor (and what did he know anyway?) was called as a last resort, if at all, so perhaps Emily's refusal to see one as the consumption took a final hold of her on the couch was not that unusual or remarkable. He covered well-trodden ground to some extent, but introduced a series of interesting anecdotes and snippets which made this talk more than a sociological excursion through dry statistics and cold statements. 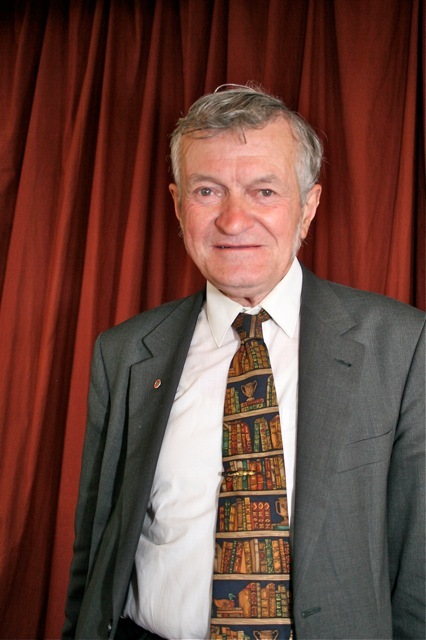 For example, in his search for original sources he has browsed through the record books and crumbling ledgers of old mills, the ones that remain that is, because many of them were pulped during the Second World War as part of a government plan to produce more paper, and found all those small things which connect us to real, 'ordinary' people. He read from letters which were often full of misspellings and without any punctuation, and also from poems: apparently Haworth was packed with people writing in their spare time, and the Brontës must have read at least some of their efforts, the quality of which ranged from the extraordinary to the awful. He found one poem by a local man which was no less than three hundred pages long, but not up to Brontë standards: he got as far as page two. The first evening of the Annual Weekend. Warm and sunny. After the talk by novelist Sally Vickers, members mingled. "Haven't see you for a while," was the commonest opening line, of course. 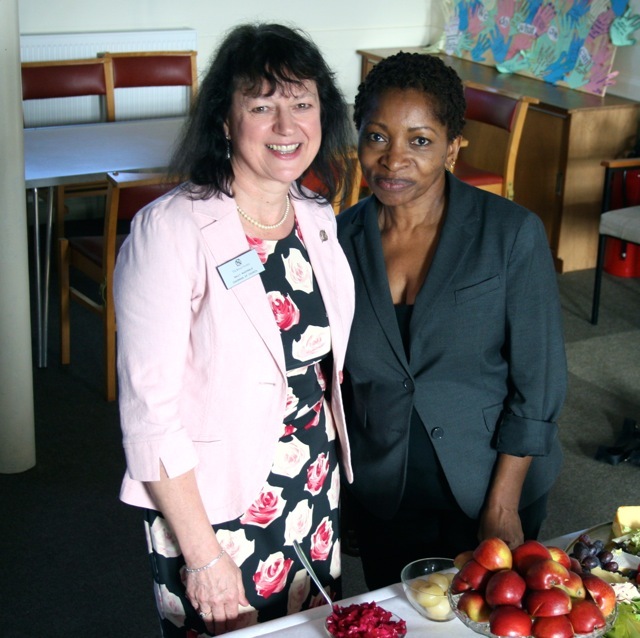 Bonnie Greer mingled too: "It's such a great honour to be President of the Brontë Society, something I could never have imagined when I was a child. I hope I can continue to be a part of the great work." "It's fantastic to have Bonnie," said Society Chair Sally McDonald. "In fact it's quite extraordinary." "I'm looking forward to presenting the prizes with Bonnie for the Brontë Society Literary Competion. We had over a hundred entries, and the quality was very good," said Sarah Fermi. "I love just being here in Haworth. I arrived yesterday and was soon walking on the moors. All the tensions in my life disappear when I do that," said Judith Watkins from Toronto. 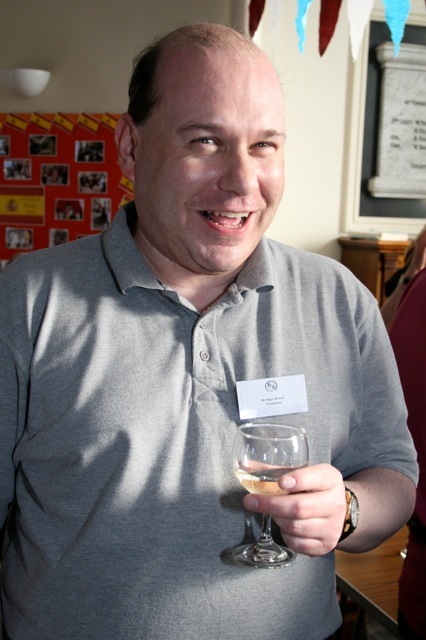 "I enjoyed the talk by Sally Vickers about her new novel, and now I'm enjoying meeting people with different opinions on the same theme," said Nigel Nicholl from Pontefract. "Haworth is so beautiful. This is my first visit to the village and to the Parsonage. 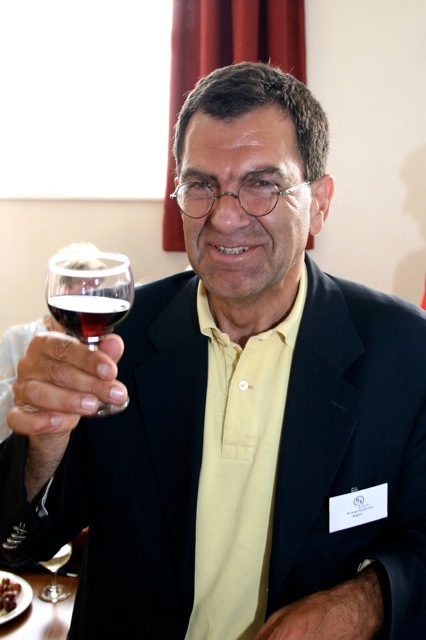 All the people are very nice," said Jorge de Britto from Brussels. "I am looking forward to the poetry - my contribution - of course. The company is always good here!" said Ian Emberson.